Dork 2 is the 2D sequel to a first attempt at a text-based combat game. 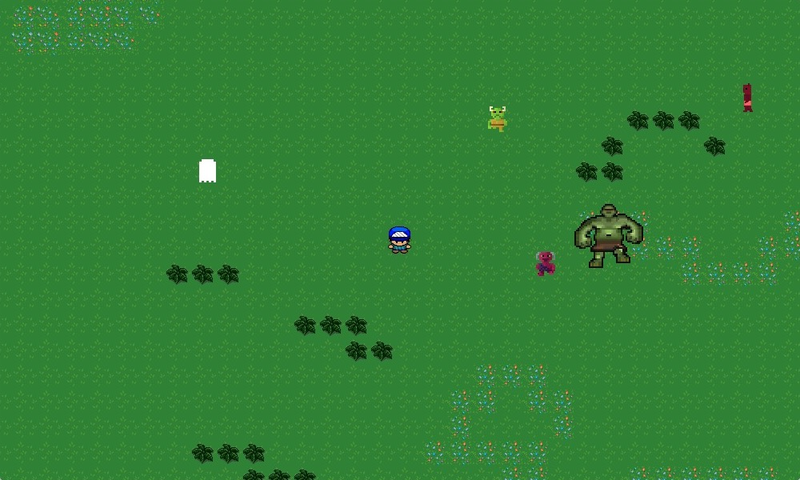 Explore the map, fight monsters, and collect the weapons! 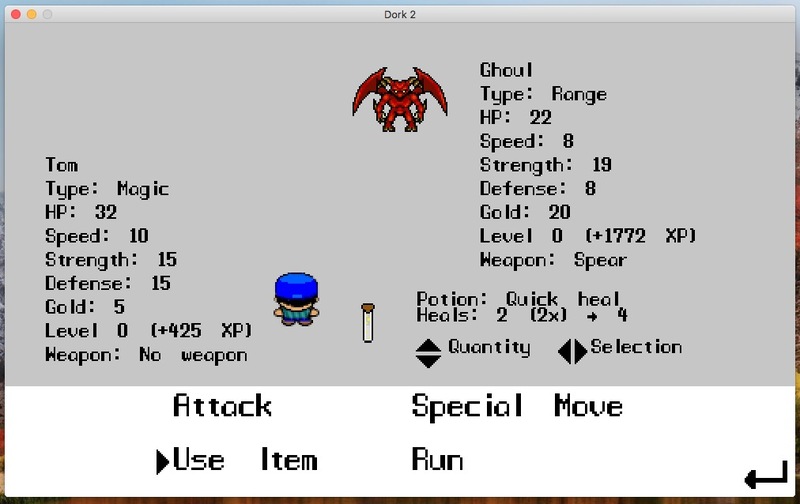 Then choose a new character type and start over! 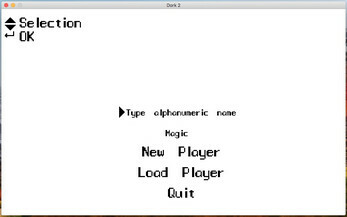 On the main menu, use the arrow keys to move the selector or change a value. WASD will also work unless the "name" field is selected. 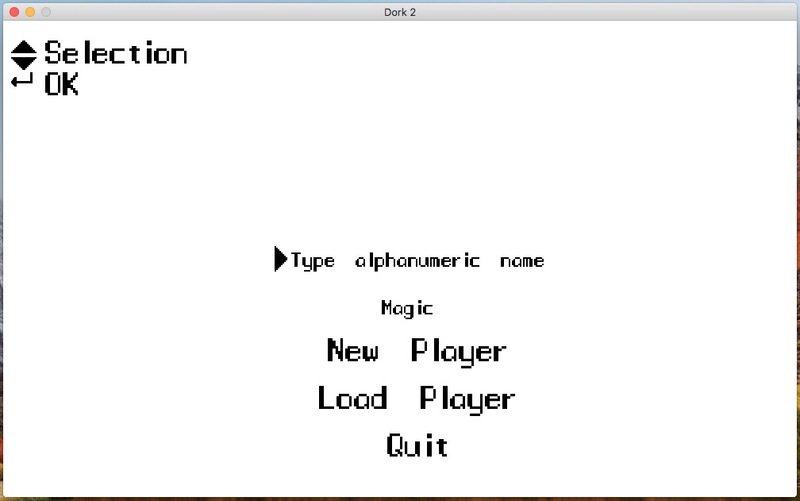 Press ENTER to select buttons. 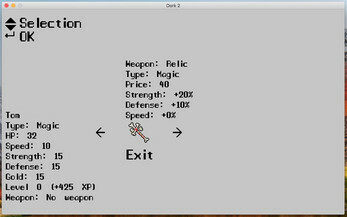 In game, use WASD or the arrow keys to move around or select things. Press ESC to pause so you can save, toggle music, or exit to main. During combat, you can use potions if you have any on you. 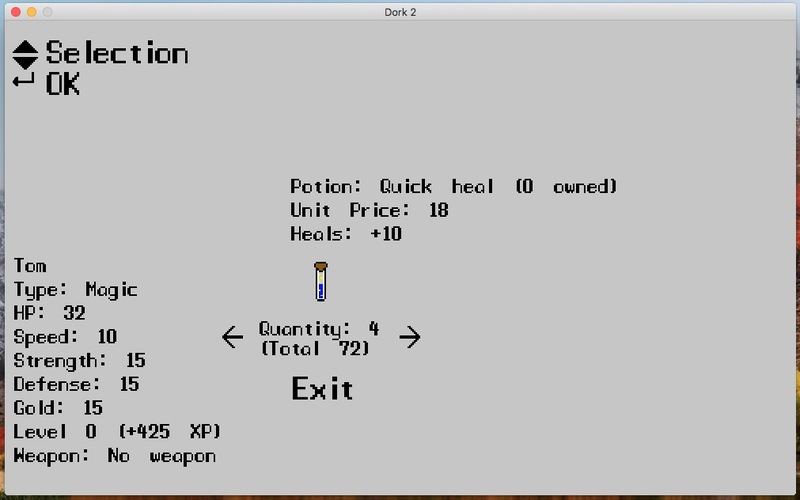 After selecting "Use Item," press LEFT and RIGHT (or A and D) to change potion and UP and DOWN (or W and S) to change the number of potions you want to consume together. 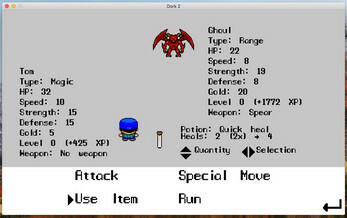 Dork 2 is available under GPLv3. See my personal website for more info. Contributions are more than welcome! The game will improve over time, but any input from other people will help accelerate the process and improve gameplay in ways I would not have thought of. Please report bugs on GitHub if possible. Otherwise, leave a comment here. I will try to address these as soon as possible.